There are typically discounts obtainable to senior citizens and small children for independent swim. 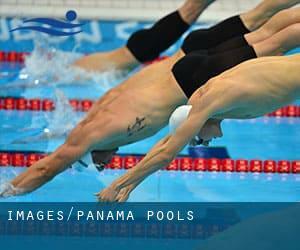 Find out by contacting your nearest pool among these Panama Pools. Thanks to some new pools submitted by swimmers like you, Swimia.com is increasing in the every day quantity of stored pools. Please don't hesitate to make contact with us for those who acquire any Panama Swimming Pool with inaccurate or incomplete knowledge. We probably don't know all of the Pools in Panama. Are you missing any? Contact us!. Please use the contact knowledge provided at each pool profile to check if they are offering aquagym lessons, given that is not so widespread to find out an Aquagym in Panama. Swimming is usually a sport for all ages. It assists young consumers to tone their muscles and grow wholesome and strong. For the elderly, there's no much better option to exercise than choosing a Panama Swimming Pool to escape from daily routine. 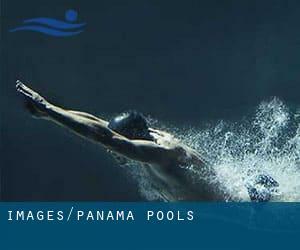 Regular users with the following Panama Pools told us one of the most necessary factor about swimming would be to control your breathing. Sometimes this is not feasible because we raise the neck to breathe as well as the body isn't aligned. To avoid this, our head should really be aligned with our spine all of the time. One on the advantages of outdoor swimming in Panama could be the possibility to sunbathe for the duration of the summer season. Taking it with additional care, sunbathing is healthy since introduces Vitamin D into the body, so the very best selection seems to be switching in between indoor and outdoor pools depending on the season. Without a shadow of a doubt, swimming in David will be the perfect way to unwind after function. Take a couple of minutes to browse Swimia's catalog to find a Swimming Pool in David. Holding an estimated population of 88.543, Tocumen is one of the most important cities in Panama. Check all the Swimming Pool in Tocumen and its surrounding area. It's difficult to visit Panama without dropping by Panama City (with 408.168 residents). Currently Swimia is showing you all the Swimming Pool in Panama City and the closest pools situated in its vicinity. Swimming is a excellent concept to keep your body active in the course of your visit to San Miguelito (Panama), or even if you are a local. Swimia helps you to find your closest Swimming Pool in San Miguelito. Aeropuerto Marco A. Gelabert / Albrook Field , Panama City . Among all of the activities offered by the center, for anybody who is interested in swimming you will enjoy Olympic size, 8 lanes, Outdoors. Just in case you wish to contact this Swimming Pool just before dropping by, we only know the phone number. Avenida Craig , Clayton . Among all the activities offered by the center, if you're considering swimming you are going to appreciate Olympic size, 8 lanes, Outdoors. Just in case you want to get in touch with this Pool just before dropping by, we only know the phone number.